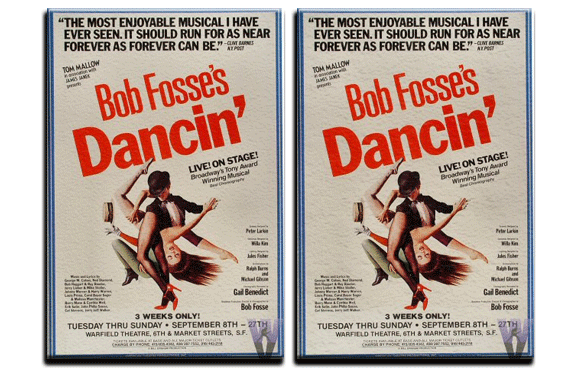 Bob Fosse’s DANCIN’ will return to Broadway spring of 2009 following an engagement in Toronto. The new production will be directed by multiple Tony Award nominee Graciela Daniele (Bernarda Alba, Ragtime, The Rink). Tony Award winner Ann Reinking (Chicago, Fosse) will serve as artistic consultant and Kathryn Doby (Dancin’, Sweet Charity) will recreate the original Fosse choreography. Nicole Fosse will advise the creative team on the revival of her father’s masterpiece. Produced by Whiskey Tango and Elaine Krauss in association with Dancap Productions Inc., the new production of Dancin’ will include the addition of Bob Fosse numbers never before seen on stage. Nicole Fosse comments I am thrilled that DANCIN’ will return to Broadway for the first time since the original 1978 production. The creative team of Graciela, Annie and Kathryn a longtime assistant to my father is the most perfect group I can imagine to recreate my father’s personal celebration of dance. Originally directed and choreographed by the legendary and innovative Bob Fosse, DANCIN’ opened on Broadway at the Broadhurst Theatre on March 27, 1978. The show transferred to the Ambassador Theatre on November 30, 1980 and ran for a total 1,774 performances. Drawing inspiration from popular culture and various types of music and movement, Fosse set out to create a tribute to the art of dance. The score of DANCIN’ is comprised of a collection of mostly American songs from a wide variety of styles including operetta, jazz and classical as well as titles by popular recording artists Neil Diamond and Cat Stevens. I would sell my left Kidney for the chance to go to this,…I hear kidneys can fetch 60,000 on the black market, and you do only need one….